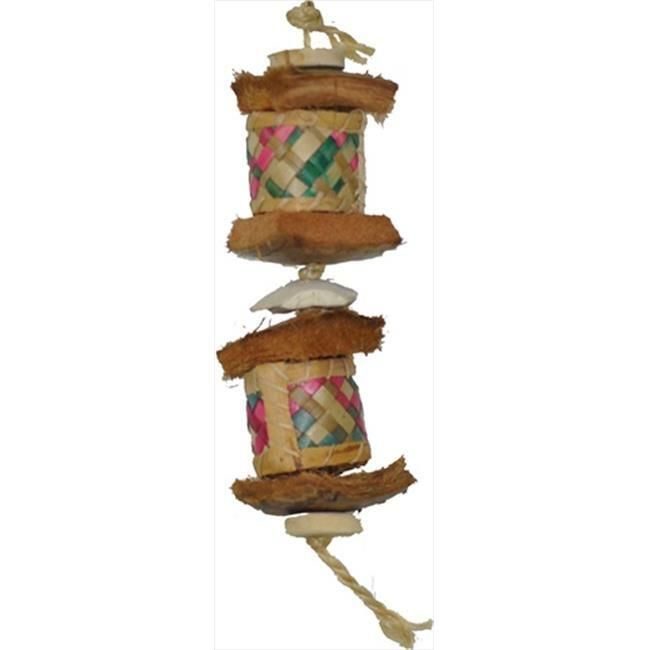 This all natural toy is strung on sisal rope and features vertically hung coconut husk slices, pieces of java wood and fiber-woven "drums" filled with natural husks. A piece of cuttlebone accents the center. Great for small to medium parrots. This toy won Best Bird Product at the 2010 world reknown Super Zoo trade show!